I’m back in my home office again. It’s been months, since I was in here regularly. I had been working downstairs in the dining room, where I have better wireless connectivity and I can move around the downstairs without disturbing my spouse. But nowadays, I really need to get back into my office. My study. My refuge. Everything in this room is here because I want it to be. I need it. I value it. That’s not to say I don’t want and value what’s downstairs. I do. It’s just not all mine, and it’s shared space with not only my spouse but anybody else who comes over to the house. Granted, there are not that many people who come by, anymore. I can’t deal with having a lot of people in my home. Not anymore. We used to have company over a lot. But in the past several years, that’s faded away. I’m too tired, by the end of each week, to deal with people. And when I do have extra social activities on the weekend, it really takes a lot out of me. I hate that it does, and I do plenty to offset it — like working on my stamina and pacing myself better during the week — but it’s still an issue. A tired brain is a cranky brain. And when my brain is cranky, it’s not much fun to be around. And too many other people have found out. I’ve gone ballistic on some folks whose only crime was being in my house when I was too tired to interact with them. They were friends, and they considered me a friend. But now they don’t talk to me. Oh, well. So it goes. At times, my life is easier without having a lot of regular friends in it, to tell the truth. Does that sound sad? It’s not. I need my peace and quiet. I need my rest. There’s only so much of other people I can take, even on my best days. That being said, I’d been able to work downstairs in the dining room, because we rarely use the room for eating, except when we have company. We use it to store things — boxes we haven’t decided what to do with, yet, as well as other packing materials. Papers and mail that isn’t time-sensitive and just needs a place to “sit” till I figure out what to do with them all. Books. Books. More books. Things we’ve moved from other rooms, to make space for our everyday lives. And there’s room for me to set up a workspace at the dining room, which is exactly what I’d done over the winter. The dining room is warmer than my study in the fall and winter, in any case, so that’s part of why I moved my “operations” there. But not having my own space has gotten to me. I need to close a door behind me and settle into my own frame of mind — the mentality that sets in when I’m in my own space. I have my books around me, my music, my artwork, my papers. It’s all here. All my fascinations from over the years. And all my neurology info. Especially my neuro info. So, now I’ve moved back into my study, and I’m looking out the window at the bird feeder and the falling snow. We got more snow last night, and now the wind is up, so it’s cascading off the trees, so it looks like we’re having a blizzard. We’re not. That’s just the overnight snow being tossed by the breeze. But it looks pretty intense at times. It’s Sunday. That’s good. I have a whole day to pretty much do as I please, and that’s a welcome change. It’s not that I’m going to indulge myself… it’s that I have a lot that I want to do, and not having other responsibilities driven by others’ needs is making it possible for me to make some headway. Write some blog posts. Read some papers. Get the word out about brain injury recovery being both possible and probable. I’m on a mission. And having my own workspace makes it easier for me to focus on that. Adding back coffee – a little at a time. I’ve been “off” coffee for a couple of years now. Well, not entirely off, but severely curtailed. I went from drinking 3-4 cups a day (starting with two big cups in the morning) to barely one cup a day. I’d start with 1/3 cup of really strong coffee, and then I’d have another small cup of strong coffee in the afternoon — preferably no later than 2 p.m., because if I drank it later, it would throw off my sleep schedule, and then I couldn’t get to sleep. And in between, I’d eat chocolate to keep myself going. Because… chocolate. Caffeine. Sugar. Other tasty anti-oxidants in there to pump up my flagging energy. But I had to give it up. Chocolate. Especially coffee. What would make me do such a thing as give up my regular flow of dark and lovely caffeine? 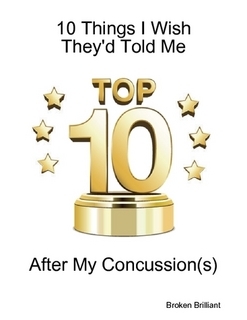 Well, all those cups were contributing to migraines — constant headaches that rarely went away. I had a non-stop headache, it seemed, for years. And I didn’t even realize it could be any other way. I figured it was just how my life was going to be, for now and evermore. When I was told by a neurologist that caffeine (which includes chocolate) can actually trigger migraines, it amazed me. Here, I’d thought they actually reduced headaches. That’s what I’d been told, anyway. But the science is there — with some kinds of migraines, caffeine can actually make things worse. And discontinuing can help. That’s what happened with me. But lately, I’ve been reintroducing a little more caffeine (and occasional chocolate) into my days, without too much adverse effect. I’ve been having slight headaches, but nowhere near the intense ones that used to be constant with me. And since I notice them more, now, than when they were non-stop, those headaches are a good signpost for when (and how) I need to make different choices and do things differently. Just the other day, someone had left some candy on the counter near the coffee maker at work. It was a kind I used to really love. Couldn’t get enough of it. I was able to walk past both the coffee maker and the candy all morning, but in the afternoon, as I was making my 1:30 p.m. 1/2 cup of espresso, I nabbed a few pieces and ate them slowly. Sweet. On so many levels. And then I drank my 1/2 cup of coffee. And I had another 1/2 cup a few hours later. No immediate headache. At least, not that I could tell. I’ve been drinking a little more coffee, nowadays… and while I have developed low-level headaches (I have one right now), they’re not so awful that I can’t function. I’m keeping an eye on it, but so far, so good. And the other good news is that with my regular daily exercise and eating a really healthy diet, I have been able to get to sleep, even if I have a little caffeine after 2 p.m. Sometimes I’ll have some at 4:00, and I’ll still be able to get to sleep. I think it’s because I’m really actively living my life. I’m “all in”, each and every day, and I also usually finish up the day with stretching and relaxing before I go to sleep. That last bit — stretching my back and legs before I tuck in for the night — has actually done me a world of good. If I don’t stretch, I often find myself waking up at 3 a.m. in pain, and I can’t get back to sleep. So, stretching before sleep is really helpful. As is relaxing before I turn off the light. Just consciously relaxing makes a huge difference. Until I learned how to do it (it didn’t come naturally), life was a whole lot harder than it needed to be. Well, it’s Friday, and that’s a good thing. I’ve got a full weekend ahead of me, and I’m working from home today to get myself geared up. Relax a little bit. Tie up loose ends from the week. And get ready for what’s next. Author brokenbrilliantPosted on January 12, 2018 Categories brain, Brain Injury, brain injury rehabilitation, concussion, coping strategies, head injury, Head Trauma, headache, long-term effects of TBI, Mild Traumatic Brain Injury, mtbi, neuroplasticity, Neuropsychological Effects of TBI, Personal Experiences with TBI, sleep, sleep deprivation, tbi, tbi education, TBI Rehab, TBI Symptoms, thoughts, traumatic brain injury, writingTags acquired brain injury, adenosine, brain, Brain Injury, caffeine, chocolate, coffee, concussion, concussion symptoms, coping strategies, fight-flight, goal setting, goals, head injury, Head Trauma, headache, life, mental health, migraine, Mild Traumatic Brain Injury, mtbi, Neuropsychological Effects of TBI, neuropsychologist, neuropsychology, neurotoxins, pcs, Personal Experiences with TBI, planning, post-concussive syndrome, psychology, recovery, rehabilitation, relaxation, self-improvement, sleep, Social Issues, stretching, stroke tbi recovery, tbi, tbi education, TBI Rehab, TBI Resources, tbi survivor, TBI Symptoms, tea, thoughts, threat response, traumatic brain injury3 Comments on Adding back coffee – a little at a time.